Sorry for the delay in posting, but I've been super busy getting things ready for my parents & brother/sister-in-law who are coming for Thanksgiving that I haven't had a moment to get on the computer...whew! Thanks so much for your wonderful comments on my last post from the recent Tour de Freaks. For these items I am showing you today I used the Sunny Days Simply Scrappin' Kit! Using this kit for any project will surely brighten your recipients day! They only items that didn't come in the kit were the ribbons. I love making these Jumbo Clothespins. It is soooo easy! YOU CAN CLICK HERE to find out how to make these & to see more samples than you probably care to see! In that post there is also the link to where I purchased these from & a discount code...I think it still works! What? There weren't enough clothespins, you need to see more??? Well, okay, CLICK HERE and HERE , I have a few more you might like!! I was so excited to find these mini composition notebooks at a "Back To School" Clearance Sale a couple of months ago! I just knew that they would come in handy for a special project. If you've never made your own composition notebook mini or regular size, don't hesitate any longer. It's really not that difficult to do. My best tip is to use Stampin' Up! 's Sticky Strip along the outer edges of the notebook, so that even after it's been crammed in your purse or shoved into your desk it'll still look pretty nice because the edges are really STUCK! I also use some Stampin' Up! SNAIL adhesive in the center portion of the paper to keep it stuck in the middle. I typically SNAIL down the ribbon too, so that it doesn't slide around like it's doing in the notebook on the bottom left...oops! I like decorating my own pens using the Pentel RSVP pens, but since I had these cute Stampin' Up! Pens that coordinated beautifully, I opted to use them instead. If you'd like to see more compostion notebooks, you can CLICK HERE and HERE and HERE . It's Tour de Freak Time!! I hope you are all having a fabulous time on the Control Freaks "Tour de Freaks"!! If you are just arriving from Mary Brown's FANTASTIC Blog, you are so very welcome. If you are starting here, just look through this post & click on the link at the end of the post to go to Dawn Olchefske's Super Creative Blog! This month's theme is Christmas Gifts!! So get your paper & pencil ready for some really fun ideas! If you come back to visit me over the next few days, I'll be adding new posts that got into detail about the items I made, so come on back, ya hear!! 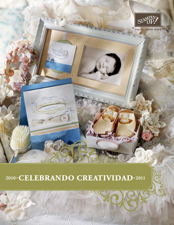 ***On the rest of the projects, I used ONE Sunny Days Simply Scrappin' Kit to make ALL these wonderful projects!! More details to come later this week!! Stocking Stuffers and/or Last Minute Gifts--You know there is going to be someone who gives you a Christmas gift & you are standing there empty handed, but then you remember that you created these cool items for just such an occasion!! Whew!! Jumbo Clothespins--These are great for displaying a photo, a recipe, or a special card that someone made for you! Little Compositon Notebooks & Pens---The pens I used here I purchased from Stampin' Up! They were on sale at Convention this past summer. Unique Gift for that Certain Special Someone in Your Life--On December 10th, my wonderful husband, Steven, and I will be celebrating our 15th Wedding Anniversary, so I wanted to make him something extra special to honor the occasion! Here is the tin I altered and a few of the pages I made to go inside. Remember, if you want to learn more about each project, just keep checking back here over the next couple of days! PLEASE CLICK HERE TO GO TO THE NEXT STOP!! I used the DSP from the Happy B-Day Simply Scrappin' Kit to cover this 3 Clip On Board Clipboard. I also used Brocade Blue & Certainly Celery 5/8 Grosgrain ribbon to cover the seams. No it's not a bad picture, I did indeed have a little incident when I put the Mod Podge on top of the DSP near the top white portion (in which I used Craft White Ink). The craft ink must not have been fully dry & when I swiped the Mod Podge on it & then onto the paper, it brought a little bit of the ink...UGH!! Oh Well! At least it gets "mostly" covered up when I have the lists on it!! I used the "It's A Plan" Stamp Set to make the "To Do List" and the "Week of____" sheets (you can find this stamp set in the "Background Stamps" section. It is one large block of wood with a large stamp on each side of the wood.). I used the "I HEART Lists" stamp set to create the "Things to Buy" List. I stamped them on regular copy paper. Above, you can see how it looks blank, fresh, ready for action. Unfortunately, I don't like that I can't see much of the Designer Series Paper, so I thought, what if I trimmed down the "To Do List" & then re-arranged the lists a little bit...see below. Although this is quite scrumptious looking (especially with that Chocolate Chip Cookie recipe on it), let's not actually "eat" the clipboard, okay? 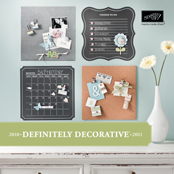 My new blogger-friend Jill Scott over at Controlling My Chaos has come up with a fabulously unique way of how she creates, displays, and how she organizes her recipe cards . She has digitally created the recipe cards using her Creative Memories Digi Scrap program...I cannot wait for Stampin' Up! to release their Digi Scrap program this fall, so I can make digi recipe cards, too!! Anyway, I tried a couple of the recipes (in fact, I just made the above cookies on Saturday...Delish!) and decided I needed ALL of them! So I downloaded them all, then uploaded them to Wal-mart's photo dept. & now I have all these wonderful & beautiful recipes to try! She even has directions on how you, too, can get her fabulous recipe cards. I purchased 5x7 photo/postcard protectors HERE. Please stop on by Jill's wonderful & funny blog on how she creatively "controls her chaos". Okay, on with the actual clipboard: I made this using Stampin' Up! 's 9x9 On Board Chipboard Clipboard, which is unfortunately no longer available...grrr! I used Mod Podge to adhere this super-cute paper from the NEW Simply Scrappin' Kit "Happy B-Day" to the clipboard. Then, I used Stampin' Up's BRAND NEW Sizzix Simple Letters BIGZ Dies to punch out the "let's eat!" letters. The little hearts are from Stampin' Up! 's Heart to Heart Punch. Next, I put 2 coats of Mod Podge over the paper & letters "just incase" I slop on it while I'm cooking/baking...I even coated the edges & the back with Mod Podge. Finally, I tied some Brocade Blue & Certainly Celery Ribbon on it, and Voila...a fun little clipboard to display my YUMMY recipes while I'm cooking/baking. A week and a half ago, I turned 36!! EEEK! I know, how did this happen? Just yesterday I was graduating from high school, going to college, getting married, working as a nurse in the Air Force, having three kids, homeschooling, etc...oh, I guess that's how it happened!! :) Well, now that I am so "mature" & I have so much to offer, I thought I'd write my own "book"...NO, not that kind of book! It's more like a book of lists for me, about me, for my family, etc. Something fun to look at 10-20-36 more years down the road. So I purchased a Composition book & gussied it up with some new Razzleberry Lemonade DSP & Crushed Curry Dots Ribbon from the up-coming NEW 2009-2010 Stampin' Up! 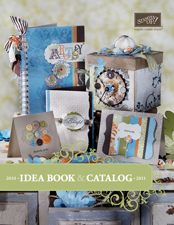 Idea Book & Catalog! WARNING: You might want to put on your sunglasses for this next picture!! Just wanted to give you an up-close & personal look at my blingie "36" made from the Sticky Cuts Letters & Numbers and some smokin' rose pink glitter from the Fine Cosmo Stampin' Glitter.